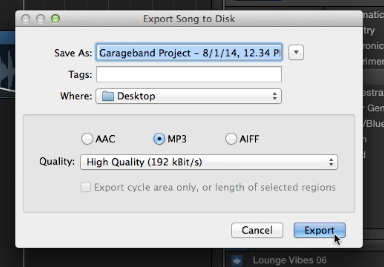 Once you’ve completed recording your podcast in Garageband, exporting as an MP3 is extremely easy. First save your project. Click on File and click Save. 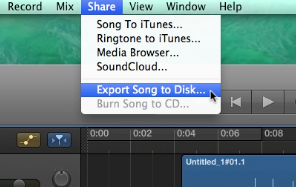 This step only saves the data file of your recording and edits. This will bring up a window where you can change the name, location, compression format and audio settings you want to set for your exported MP3. 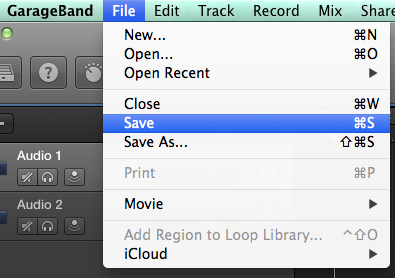 Change Where: to “Desktop” if it is not already the setting, then select the radio button next to MP3. You can also change what the file will be named if you wish. We encourage you to choose 128kbps MP3 as this is a good balance of audio quality and file size for podcast streaming. Once you are ready, click the Export button. 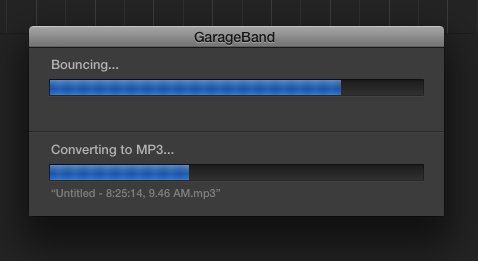 This will bring up a window box with Bouncing… and then Converting to MP3… progress bars. Once those two progress bars close, your file has been saved to the Desktop and is ready for you to upload to Pippa. When you are logged in to Pippa, choose your show, and then hit the New Episode button (top right, green). You can then add the episode details as well as the episode audio file.